For over ten years active in international and active citizenship projects, first as a user, then as a professional, she is an ideal witness: former volunteer in the frame of the European Voluntary Service (EVS) in Hungary and for the National and Regional Civil Service, she also lived abroad as a trainee and Erasmus student before graduating in Linguistics. 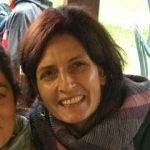 Italian L2 teacher and tutor for participants in European mobility projects coordinated by Xena and trainer in non formal education activities; she is currently responsible for the incoming, outgoing and coordination of volunteers of both European Voluntary Service and European Solidarity Bodies. She moreover collaborates in initiatives to develop the employability of young people.